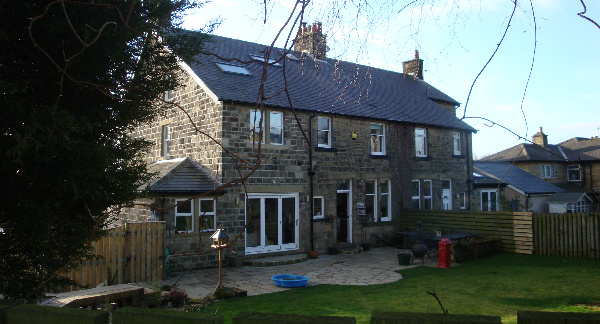 We provided architectural services for this project in order to form a large two storey rear extension and single storey side extension, as well as extensive internal alterations, at this lovely stone-built property in Baildon, on the outskirts of Bradford. Our brief was to extend the first floor accommodation in order to create an additional bedroom, which in turn created additional usable roof space. We also replanned the existing ground floor accommodation in conjunction with the ground floor element of the extension, as the original layout was somewhat disjointed. 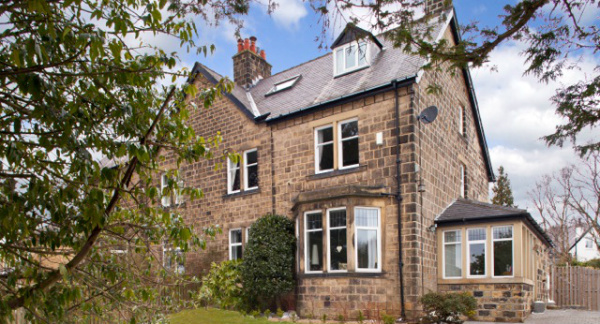 The extended ground floor accommodation, coupled with various internal alterations, ensured that the property would enjoy an open feel with a continuous flow. 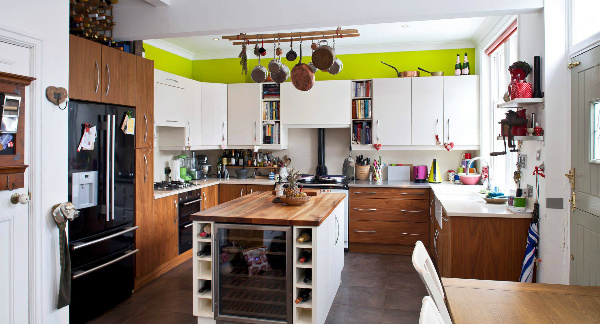 A large kitchen and dining space was formed with large folding doors onto the delightful rear garden which has now become the focal point of the ground floor. We undertook and submitted a planning application to Bradford Council, and once approved, we produced the necessary construction drawings in order provide the building contractor with sufficient information to build from. 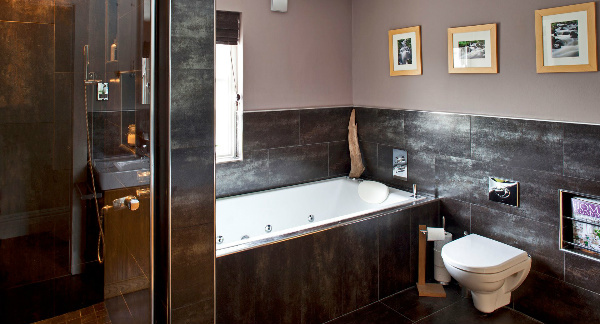 We feel that the contractor has done a wonderful job, particularly in ensuring that the new extension blends seamlessly with the existing stone-built house.